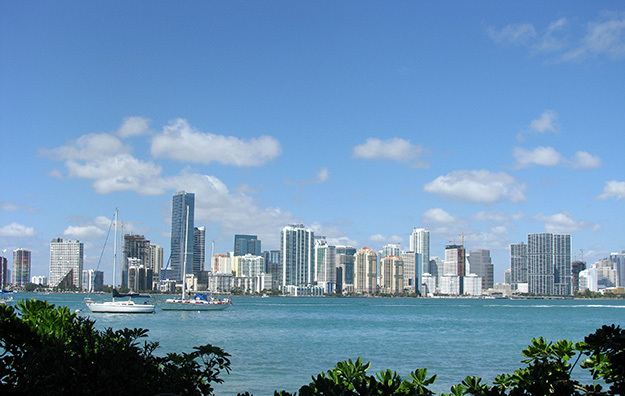 Dynamic, multicultural Miami is a great place for shore excursions. Located between the clear blue waters of the Atlantic Ocean and Biscayne Bay and the mysterious Everglades, it’s a colorful, tropical city. It has a trendy vibe, interesting history, architecture and outdoor art, A-list nightspots, restaurants serving international cuisine and fabulous shopping. It is also the busiest cruise port in the U.S. and the departure point for cruises to the Caribbean, the Bahamas, Mexico and other destinations. Unlike shore excursions at ports of call during a cruise, Miami shore excursions are experienced either before boarding or after disembarkation at the end of the cruise. This is why many cruise passengers departing from the Port of Miami make Miami part of their vacation experience by planning extra time either on the front end or the back end of the cruise. Miami shore excursions focus on unique colorful neighborhoods – South Beach and the Art Deco District, Little Havana, Coral Gables, Coconut Grove and, if you have a full day, the Florida Everglades. Big Bus Miami Classic Ticket a favorite of visitors who enjoy seeing the sights aboard a double-deck bus with great visibility. This tour has the option of hopping off at stops along the way to explore on your own. 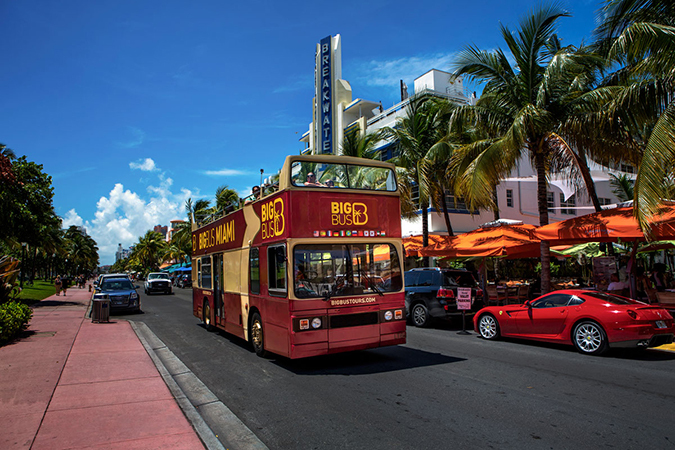 The one day pass can be used on two hop/on-hop/off loop tours, the Beach Loop, which includes famous South Beach, and the City Loop, covering downtown and Little Havana, Coconut Grove and Coral Gables. Stop #1 is located at Bayfront Park, not far from the Port. Miami Tour Company has multiple tours covering all the highlights in Miami’s stellar neighborhoods. Their tours are great for visitors who prefer to sit back and relax in air-conditioned comfort for a narrated tour with a few stretch and photo-op stops along the way. Their Historic Miami City Tour, Miami to the Max, starts out at 10am and ends at 2pm. A food tour of Cuban Cuisine is included. Free hotel pick-up and luggage storage are offered. Tour by Locals is a personalized way to experience Miami’s history, architecture and trendy vibe for visitors who don’t like touring with large groups. The exclusive tours accommodate 1-2 people in a private car with a knowledgeable guide. Arrangements can be made for groups up to 14. Their tours, covering all the right places in key Miami neighbors for 5 to 6 hours, are broken up by small walks at special places such as he Gilded Age Biltmore Hotel in Coral Gables and along colorful Calle Ocho in Little Havana. South Beach is the most sought-after neighborhood for shore excursions. Known world-wide for its glamorous vibe is beachfront Ocean Drive, lined with cafes, lounge bars, and picturesque Art Deco buildings. Off Ocean Drive check out Washington Avenue, a long time commercial strip is lined with tattoo studios made famous by Miami Ink, and small restaurants favored by locals living nearby. Espanola Way is a unique artist enclave tucked between 14th and 15th St. west of Washington, and Lincoln Road Mall, is a popular pedestrian-only eclectic shopping and dining spot. The tours mentioned in #1,2,3 all go through SoBe and up Collins Avenue. Other ways to see this glamorous hot-spot include walking it, using public South Beach Local for only 25 cents per trip to get around. A great option when traveling with teenagers and young adults is to glide along Ocean Drive on a Miami Art Deco Segway Tour. Entertaining guides hit all the highlights during the fun 2-hour narrated ride. 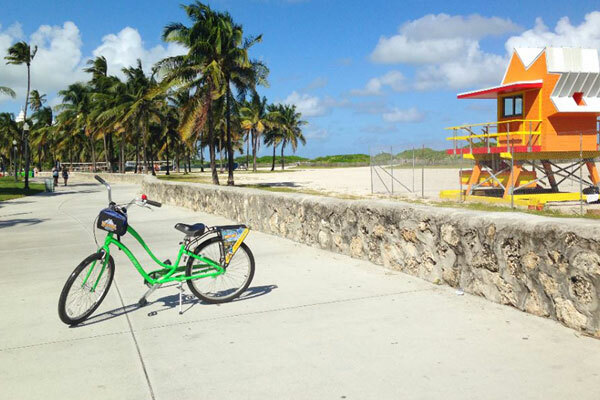 A 2-3 hour biking tour from Oceanfront Pathway along Ocean Drive all the way to Lincoln Road Mall on a Miami Beach Bicycle Tour is a great way to be a part of the SoBe scene. For shore excursions of the extensive Art Deco architecture, check out information on Architectural Walking Tours or Art Deco Walks. Both offer 90 minute morning walking tours beginning at 10am. Bayside Market Place is a popular shore excursions, especially for cruise passengers limited on time. Overlooking beautiful Biscayne Bay not far from the port, it’s easy to get to by cab, is a stop on several tours and is the departure point for several bay cruises and fun boat rides. The lively place is filled with music, shops and restaurants with outdoor seating, great views and a tropical breeze. It’s fun to get out on the water to see the glittering Miami skyline, Millionaires Row, Miami Beach and your cruise ship in its berth on a 90 minute narrated Biscayne Bay Sightseeing Cruise, departing daily on the hour between 11am and 7pm. Little Havana is a colorful cultural journey into Miami of the 1960s. With distinct influences of Old Havana, it’s Cuban to the core – the color, the language, the flavor, the food. Most of the Miami tours by vehicle go through it. Some tours stop for strolls along Calle Ocho, past tiny Domino Park, where the only sound is that of clicking dominoes. Others stop for lunch at the famous Versailles Restaurant or at a walk-up “ventanita” for a café con leche and a guava pastelito, or croquetas filled with ham or cheese. Coconut Grove is another Miami community with a unique vibe. Artsy, eclectic, tree-shaded “the Grove” is one of Miami’s oldest communities and still retains its bohemian flair. Lovely Villa Vizcaya is on the way. A tour of the Mediterranean Revival Gilded Age mansion and the fabulous bayfront grounds is a must-see shore excursion. A visit to the Barnacle, on a beautiful Biscayne Bay shaded property in the heart of the Grove, is a wonderful counterpoint to the opulence of Vizcaya. Coral Gables is lovely, tree-shaded, orderly and refined. Primarily a residential neighborhood, it is the home of University of Miami, has an attractive international business district, great restaurants. The Gables is the place to go for shopping – along Ponce de Leon Boulevard, Miracle Mile, or open, airy and upscale Shops at Merrick Park. A visit to another of Miami’s Gilded Age treasures, the Biltmore Hotel, is a must. Key Biscayne is not too far from downtown, yet off the beaten path. Travelers with children should drive over causeway to visit Miami Seaquarium and Key Biscayne Lighthouse on the island’s tip, where the view is spectacular. An Island Adventure Bike Tour is a great outing for dedicated bikers. The ride along great bikeways through a natural oasis is a visual treat. The Florida Everglades, the expansive, silent River of Grass, is a total change of pace. Time permitting, it’s a popular shore excursion. Located beyond the westernmost fringe of Miami and Fort Lauderdale, it takes all day to get to it, take an exciting airboat tour, which is the only way to see this splendid natural treasure, and get back to Miami. Tours by Locals and Miami Tour Company and other Everglades tour operators offer Everglades Tours.